To strengthen our community by assisting individuals and families impacted by drugs and alcohol, mental health disorders, and related problem behaviors through a comprehensive system of Education, Prevention, Intervention and Counseling. The source for quality, comprehensive behavioral healthcare in our community. EPIC Behavioral Healthcare (EPIC) believes that recovery from addiction, substance use disorders and mental health disorders is real. People can, and do, overcome the internal and external challenges, barriers, and obstacles that confront them. EPIC agrees that addiction is defined as a chronic, relapsing brain disease that is characterized by compulsive drug seeking and use, despite harmful consequences. EPIC also recognizes that many individuals served by our agency are challenged by a mental health disorder. While treatable, EPIC believes that substance use and mental health disorders impact all areas of an individual’s life, including all of their relationships, vocational/education goals and skills, emotional well-being and their physical health. 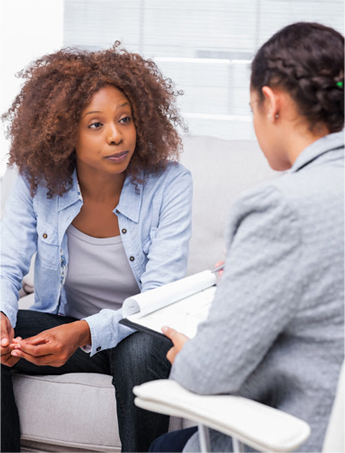 For both substance use and mental disorders, our commitment is to provide effective, affordable, evidence-based, culturally-sensitive and comprehensive care to impacted individuals and families. EPIC has historically incorporated the idea of, “wellness,” into our programs. This allows EPIC to have the best outcomes for our clients. EPIC focuses on formalizing its commitment to overall wellness for our clients using SAMHSA’s (Substance Abuse & Mental Health Services Administration) 8 Dimensions of Wellness as a guideline. EPIC pledges to provide quality services and care to our community’s most vulnerable citizens. We will work to improve understanding in our community about mental and substance use disorders. We will promote emotional health and the prevention of addiction/substance use and mental disorders and will increase access to effective treatment and wellness programs while supporting recovery. EPIC promises that children, adolescents, families, adults and seniors will find the support and help needed through our continuum of care to improve their health and wellness, live a self-directed life, and strive to reach their full potential while on the path to recovery from addiction/substance use disorders and mental health disorders. Accommodations are available for persons who are disabled or deaf/hearing-impaired. For assistance, call 904-829-2273, x7016. Aetna, AvMed, Cenpatico / Sunshine Health, Cigna, Florida Blue, Florida Healthcare Plans, Humana, Magellan, Medicaid, Molina, Ped-i-care, Tricare, United Healthcare and Wellcare / Staywell.